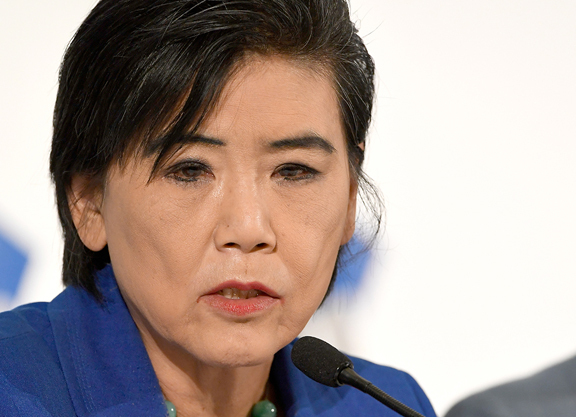 Representing the district that includes Arcadia, California, the home of Santa Anita, Democratic Congresswoman Judy Chu has been an outspoken critic of many of the practices allowed in horse racing. She issued a statement saying she was “outraged” by the 22 deaths that occurred at the track since opening day and said she would call for a congressional committee to investigate the treatment of racehorses at race tracks throughout the country. Chu spoke with the TDN and gave her latest thoughts on the state of horse racing, The Stronach Group’s efforts to lessen the use of medications and the whipping ban that was voted on Thursday by the California Horse Racing Board. TDN: Horse racing has had similar problems with breakdowns and fatalities at other racetracks, but never before have we seen someone in the federal government not only speak out, but speak out as forcefully, as you did. Why did this situation cause you to take action? JC: I was following the situation through the time 21 horses had died. Then Santa Anita closed to investigate. But, when the 22nd horse died, I said, ‘enough is enough.’ In addition, I watched the Fox News report where the reporter just happened to be out when yet another horse broke down, broke its two front legs. They put a tent around it and they euthanized it only moments later. It was very shocking to see that. We can imagine these deaths and think about them in the abstract, but to see one like that right in front of your eyes on television was the big shocker that led me and many other to say something had to be done about this. TDN: Did you hear from many constituents? Were people calling your office and saying “you have to do something about this”? JC: When I made the decision to speak out on this, I actually got tremendous feedback on my social media, calls to the offices. I got a huge amount of support. TDN: Since you first spoke up, Santa Anita has announced some significant reforms, the California Horse Racing Board has voted to outlaw whipping, so do you feel better about the sport? Are you willing to call off the wolves, so to speak? JC: I was encouraged by the California Horse Racing Board meeting [Thursday]. I was following it closely. I felt that they took the situation quite seriously. They went beyond The Stronach Groups’s proposals and now they want to have the restriction on whipping state wide. Actually, my greatest desire is to have nationwide reform, that’s why I am a supporter of the Horse Racing Integrity Act. That would pave the way for there to be federal standards in place. After all, these horses are transported across state lines for races. We need national standards to make sure that all horses train and race under the safest conditions. TDN: Considering that, so far, California is way ahead of other states when it comes to reforms, are you still considering calling for hearings in the House Energy and Commerce Committee and a federal investigation of horse racing? JC: I am continuing my efforts to have hearings. I have submitted an official letter to the House Energy and Commerce Committee, which has jurisdiction over this. I have talked personally to the people in charge and they are quite interested in this. They know what happened at Santa Anita, and they know it wasn’t just a Santa Anita problem. That’s why the Horse Racing Integrity Act had been in the works and why it was re-introduced. They are very, very interested and I believe there will be some kind of hearing in the future. 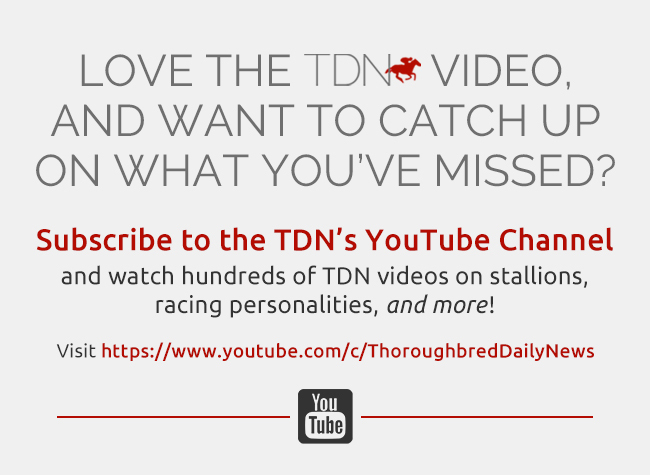 TDN: What are some of your primary goals? What would you most like to achieve when it comes to various reforms involving horse racing? JC: My main goal would be to ban race day Lasix. The U.S. and Canada are the only two countries that allow Lasix. The U.S. is an outlier when it comes to a lack of standards. What is it that the international community knows something that the U.S. is ignoring? I think we should ban Lasix. The banning of whipping is also a huge issue. We have had the introduction of the issue, but it will have to wind its way through the process. I hope the whip ban becomes a national policy. JC: Those people who are supporting the Horse Racing Integrity Act and members of the House Energy and Commerce Committee that oversees these horse issues, they are definitely horrified. TDN: Santa Anita re-opened Friday. Do you believe they opened prematurely? JC: I actually was very concerned that they opened back up. I felt that there were not enough answers yet as to why the 22 deaths occurred. On the other hand, I did talk to Belinda Stronach and others from The Stronach Group. They talked about all their proposals and I felt that they were quite serious about addressing these issues and were pushing proposals they knew would upset certain people in the industry. I really have to say that they did respond responsibly to this situation and did what they could. TDN: While you never called for the shutdown of Santa Anita, others have and, fair or not, you were associated with the anti-racing side. Did anyone complain to you about the notion that your efforts might put a major employer in your district out of business? JC: Nobody has said that to me. We are focused on the safety of horses. That is my main concern. I do have to say, though, that the response to this issue will play a major factor when it comes to the future of horse racing in this country. TDN: Are you optimistic that other states will follow California’s lead? JC: One thing that gives me hope is that The Stronach Group owns tracks in other states and I believe that Belinda Stronach said that she wants to implement these rules at those other tracks. I am encouraged by that. But I think we need to push this through Congress because there are many other states involved. 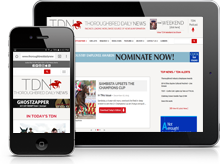 TDN: One of the sad truths about horse racing is that even if you do everything one can do to make the sport as safe as possible, nobody believes you can create a situation where no horses will die. Is even one death of a horse acceptable if racing is making a good faith effort to make the sport as safe as possible? JC: I would be heartbroken by such a death. I do have to say that I learned something from my discussions with The Stronach Group about the difference between the United States and other countries like Hong Kong. Hong Kong has a rate of .66 horses per 1,000 starters that die. In the U.S. it is two deaths per 1,000 starters. (According to Jockey Club statistics, horse fatalities in the U.S. in 2018 occurred at a rate of 1.68 per 1,000 starters). That is more than twice the level of death of horses that they have in Hong Kong? So, what is wrong with us? TDN: The two other major thoroughbred tracks in Southern California, Del Mar and Los Alamitos, have both come out and said they have no plans to ban Lasix. Does that concern you? JC: I think they are being insensitive and tone deaf. I am encouraged, though, that the head of the California Horse Racing Board has said he is considering enforcing the Lasix restrictions statewide.